Less than 30 minutes and still within view of the Perth CBD among winding roads, picturesque views, beautiful forests and fresh air, the Perth hills is an idyllic place to settle down. Because many of the houses built decades ago in the hills are now outdated many, empty nesters and retirees are choosing to build their own homes. There are also heaps of large lots in the hills just begging for a granny flat addition, allowing space to bring in extra rental income or move in the extended family. Modern prefabricated granny flats offer so much more than a “back room”, with options to build a small haven which provides a comfortable family lifestyle for less cost than you might expect. Building among the vibrant villages dotted in the hills can seem unachievable because of the sloped and rocky ground. Not any more – a little clever thinking can make the most of the terrain to give a home owner stunning views in every direction. In fact, you can easily turn a rocky outcrop in to a cool feature by choosing a steep-grade building technique which makes the most of your site. Take the Slim 2.1 for example. Slim is a modern, sleek family home which sits perfectly on just about any lot. So you can move the whole family to the hills or have enough space to retire in comfort, with heaps of activity space and the option of outdoor areas. Even better, get rid of the kids and invite your friends around to show off your exclusive view. 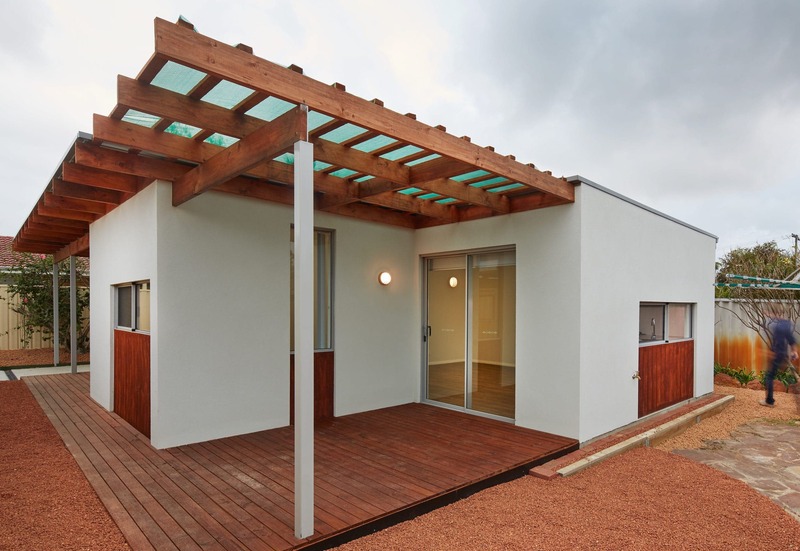 Form Homes build the best value granny flats in Perth with modern designs for any lifestyle. The Slim home range has a stack of siting options and configurations to suit singles, couples, and families of all sorts. And if you’re not ready to move in just yet they make great rental options. These innovative prefab granny flats are the perfect option to get the most from sites in the Perth hills. Not only are they affordable, they are amazingly quick to put up and exceed the 6-star energy rating. If you are considering a move to the hills but want a modern home which fits perfectly in to the Perth Hills natural backdrop, get in touch with Form Homes to talk prefab granny flats. You will be in your dream home sooner than you think and making the most of those awesome views for years to come.